Divided attention is the second of three executive function skills children need to be successful in learning and relating to other people. To understand divided attention, it is helpful to imagine a workbench in the brain. On this bench the brain stores important current information as well as previously stored information. When the two groups are combined, the brain can direct activities and create new learning. 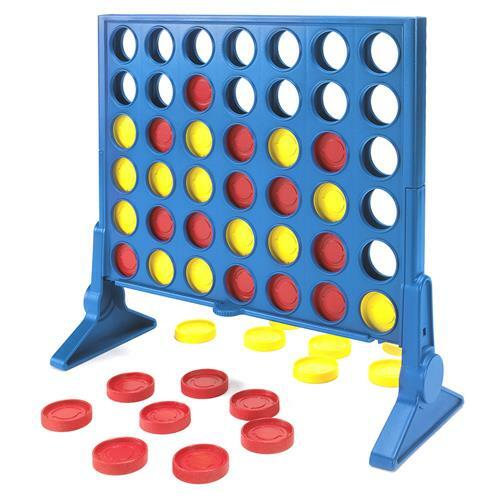 The game Connect Four is a useful example. To successfully play this game a child needs to have a plan, insert the pieces, remember the rules, and pay attention to the opposing player strategy. If divided attention skills are not yet strong (i.e., there is not enough room on the workbench) then it is likely that the child will stop paying attention to at least one skill. 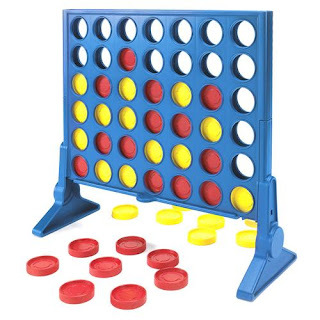 When I taught kindergarten, I would play Connect Four with my students and get the chance to see divided attention develop. The student I played would be concentrating so hard on adjusting the plan that he or she would not pay attention to my possible wins. The student would be shocked to see I achieved four in a row. Then, I had an excellent opportunity to teach why that skill was important. I usually lost the second game. Adults can keep 7-9 things going on the workbench at a time. Young children can balance a much smaller number, but as they use their brains, they develop divided attention. Humor is a perfect example of how this works. Small children are amused by silly things they see. This kind of humor does not take a great deal of divided attention as toddlers are for the most part reacting to the difference between what they expect and what they see. As children get older, they start to understand humor in a more complicated way. For instance, jokes take more divided attention because you have to pay attention to the words being said and a second meaning behind the words. When families tease and joke with each other, in a gentle way, divided attention adds a new skill. Now children must understand the humor of the joke and the shared family knowledge of why it is funny. Who knew family humor was a higher order thinking skill? Physical Activity: Any sports or physical activity will exercise divided attention. Your child’s brain has to pay attention to the game, the rules, and the other team. Sports and exercise have an added benefit in that they often require repetitive practice which is very good for developing divided attention. Family Read Aloud Time: Listening to a story read aloud is good for children well into the middle school years. When children listen to a story, they need to create a mental image of the setting. As they listen they edit the image in their heads. Listening to chapter books means children will need to remember storylines from one reading session to the next. If you stop occasionally and talk about the story, or imagine how you might rewrite it, you are adding a new layer of divided attention. Children are typically able to comprehend stories several grade levels above their reading level, so it might be easier than you think to find a book everyone enjoys. Fine Arts: Any lessons in singing, instruments, dance, acting, art, etc. will give children great practice in divided attention. The fine arts often use different parts of the brain than other activities and provide the brain ample opportunity to practice and develop divided attention skills.